ECE 456 Wireless and Mobile Communications, Summer 2018. ELEC 456 Wireless and Mobile Communications, Summer 2015, Spring 2015, Spring 2014, Summer 2012, Spring 2011, 2009, 2008, 2007, 2006, 2005, and 2004. ELEC 360 Control Theory and Systems: I, Spring 2014, 2012, 2009, 2008, and Fall 2005. ELEC 350 Communication Theory and Systems: I, Fall 2017 and 2014. ELEC 310 Digital Signal Processing: I, Summer 2016, 2015, Spring 2013, Summer 2011, 2009, 2007, and 2006. ELEC 516 Advanced Wireless Communications, Fall 2017, 2015, Fall 2014, Summer 2011, Fall 2008, Summer 2007, Spring 2006 and 2005. ELEC 450/512 Communication Theory and Systems: II, Summer 2016 (ELEC 512) and 2004. 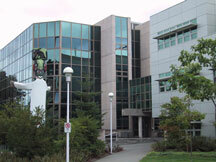 Log onto CourseSpaces at UVic with your UVic netlink ID and password.